Interactyx Limited, the developer of social learning management system (LMS) TOPYX, was recently recognizedas the winner of the fourth annual technology awards in the “Innovention” category issued bythe Southwest Florida Regional Technology Partnership, a member of Lee County, Florida’sHorizon Council. “It is incredible that this learning management system, TOPYX, is changing the landscape of social learning around the world, and it’s being developed right here in Southwest Florida. Our organization is thrilled to promote and support the thriving technology community here, and Interactyx is a wonderful example of what is possible,”stated Brooke Gabrielsen, President, Southwest Florida Regional Technology Partnership. 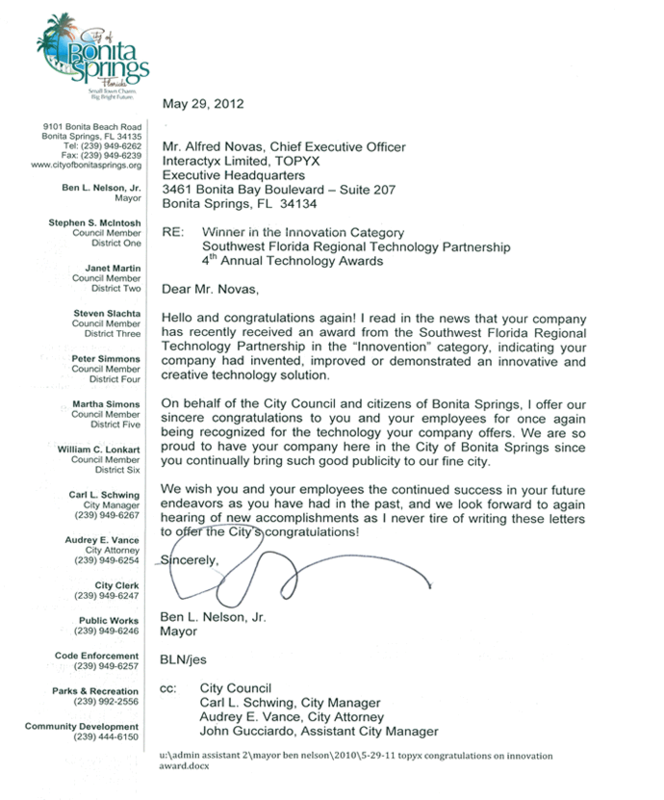 This venerated recognition by the Southwest Florida Regional Technology Partnership complements other recent awards by TOPYX, including: Best of Elearning! Magazine award winner for the past three consecutive years, Brandon Hall Group’s acknowledgment of multi-gold medal awards winner for Excellence in Technology and named by Chief Learning Officer magazine one of the top LMSs to watch.